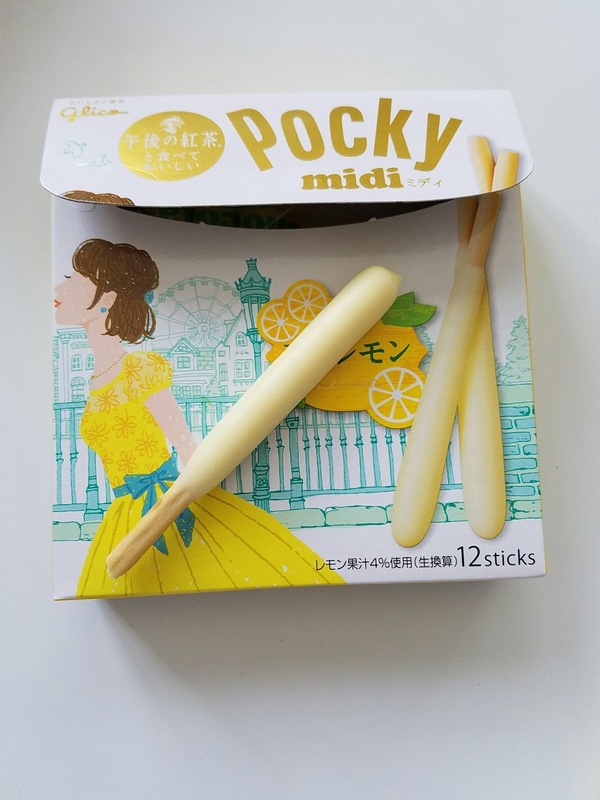 The midi one is a special line of Pocky that is much shorter than the typical ones. Midi I believe stands for the smaller size. Sometimes they are called 'pocha' because they are a bit wider due to extra dipping of the flavor coating the biscuit. The packaging is so delicate and pretty and reminds me of having tea on a Sunday in England (not that I've ever been). The lemon flavor was bold, bright, and the perfect balance of sweet and tart. The next one on the list is the Uji Matcha one. 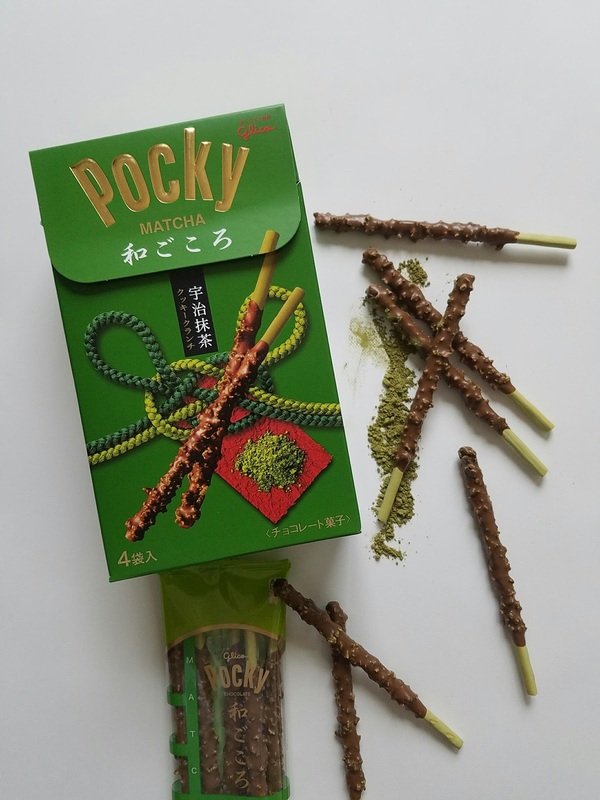 This is basically a green tea flavored biscuit dipped in chocolate with green tea powder and little crunchy bits. This isn't the strongest of green tea flavored items I have tried but they green tea flavor is definitely there. 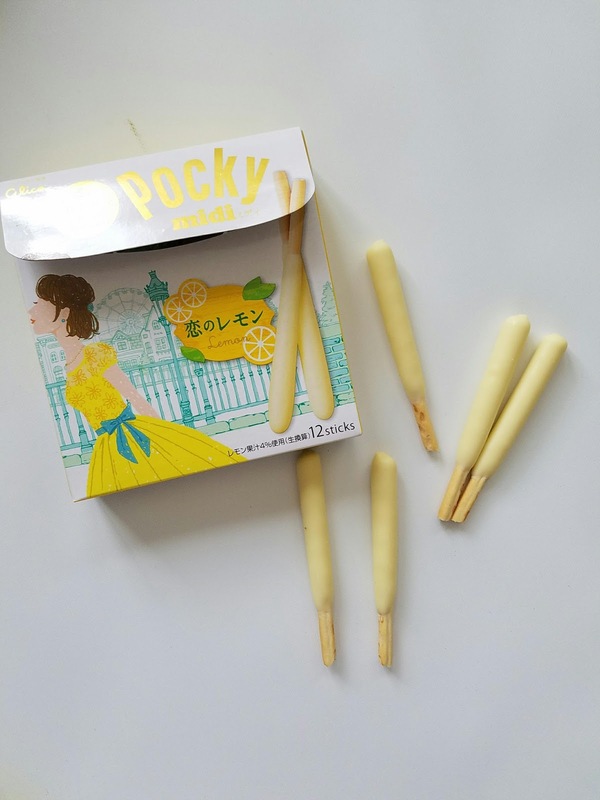 The packaging and extra coating makes this one a bit more special than the typical green tea Pocky you find here. The last one I tried out was the azuki. 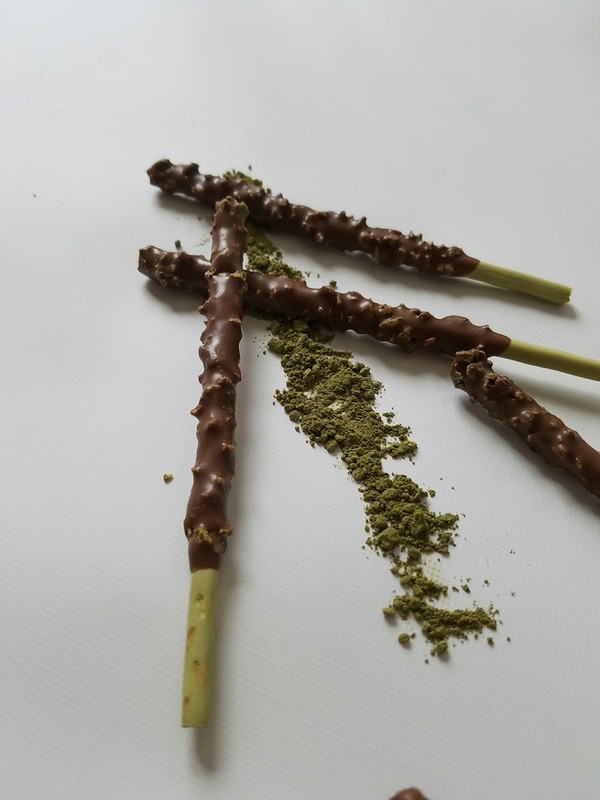 This biscuit was dipped in chocolate with red bean bits and though many people have said they didn't care for this one or couldn't taste the red bean, I feel otherwise! It's subtle, but the flavor is definitely there. 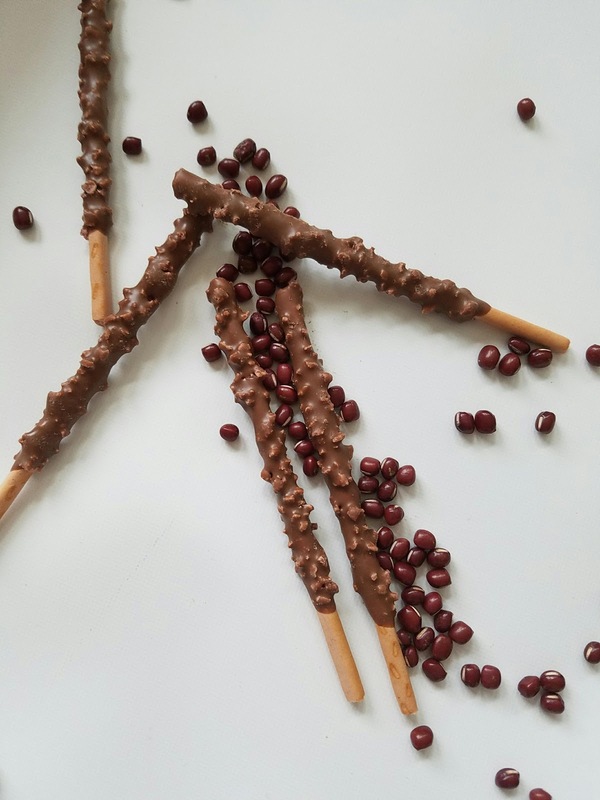 I like the sweetened red bean bits incorporated into the chocolate. 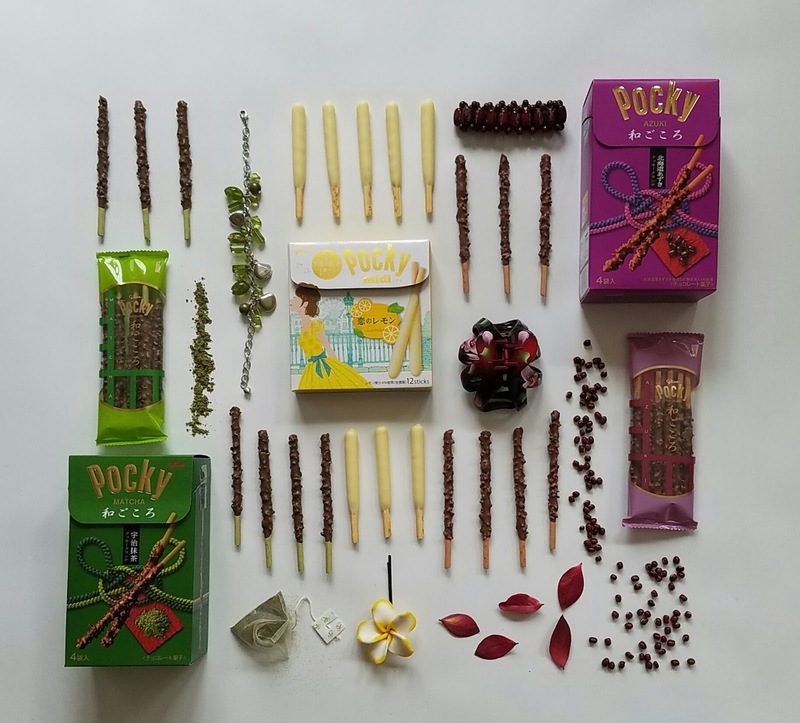 Again, the packaging is on point and one I'd pick up as a gift for someone else to try! 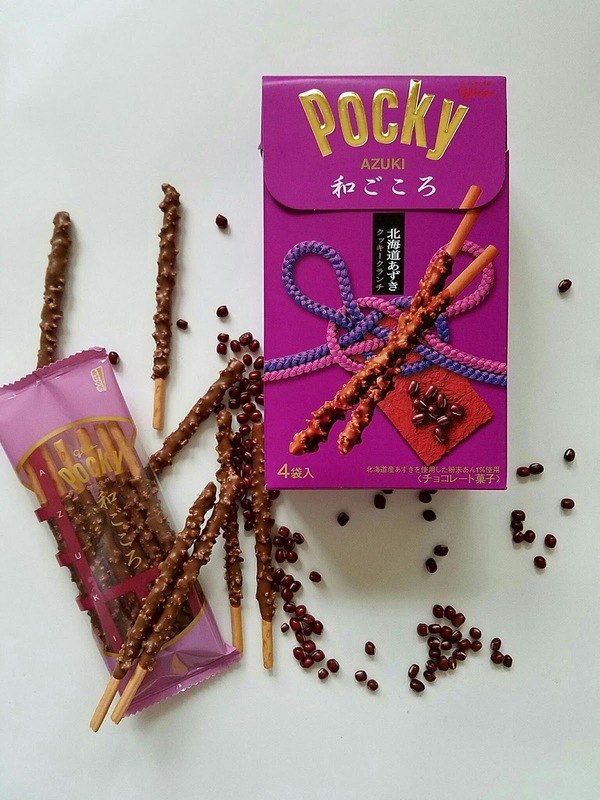 Readers, what are your favorite Pocky flavors? Have you tried any 'different' flavors aside from the usual chocolate and strawberry?